Tip 2: Choose Low-Fat Dairy. 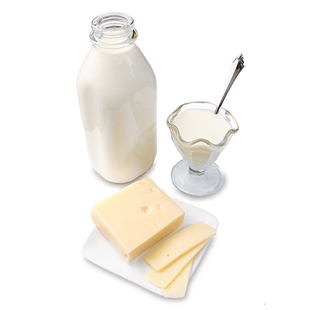 Dairy products like milk, sour cream and yogurt are a good source of calcium. Replacing whole-milk dairy products with low-fat or nonfat is an easy way to cut saturated fat in your diet. Plus, substituting low-fat dairy for full-fat versions may also help lower blood pressure, according to a 2009 study in the British Journal of Nutrition.